Please select a size. UK 3 - In StockUK 4 - Email me when back in stock UK 5 - Low StockUK 6 - In StockUK 7 - Low StockUK 8 - In Stock Please select a size. 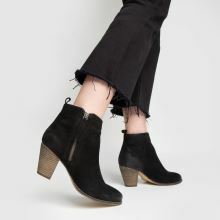 It's easy to be a new season style Champ with a fresh black ankle boot and this beauty from schuh ticks all the must-have boxes. 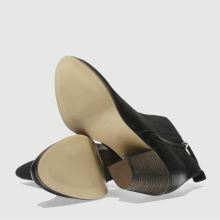 Boasting a soft and sleek nubuck upper, the 7cm block heel is perfect for all-day wear while a handy side zip completes.